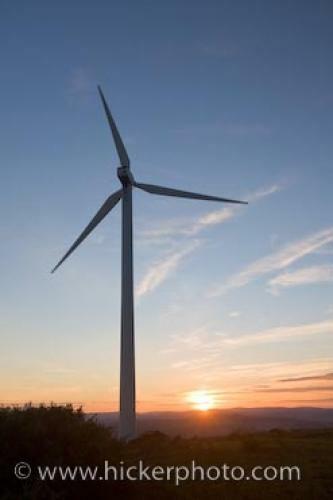 A common form of power generation in Spain and throughout Europe is wind turbine power - a natural resource found in abundance particularly along the extensive coast and mountainous areas of Spain such as near the town of Casares. As an important move towards Spain's renewable-energy revolution, wind power has been endorsed by the government of Spain and now produces around 10% of the power requirements of Spain. Taking advantage of the particularly gusty winds of the scenic hills and valleys near the town of Casares, is a field of wind turbines constantly humming and rotating to the rhythm of the wind. Windmill near the town of Casares at sunset, Costa del Sol, Province of Malaga, Andalusia (Andalucia), Spain, Europe. a natural resource - the wind, in Spain.